Guanajuato, the birthplace of famed muralist Diego Rivera, is also the site of Alhondiga de Ganaditas, a former town granary that became a revolutionary symbol after the heads of insurrectionists Hidalgo, Allende, Aldama and Jimenez were posted at the four corners of the building. 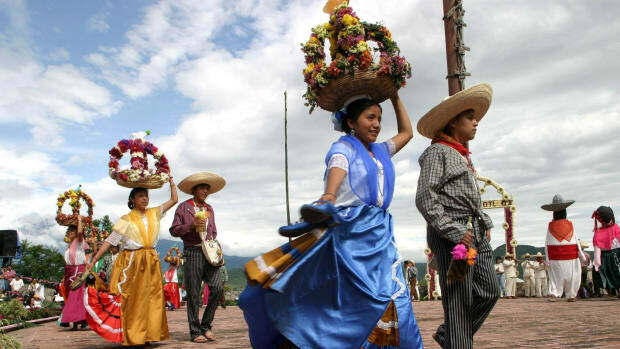 A number of important festivals and celebrations occur throughout Guanajuato, including local religious and historical fiestas that celebrate popular folklore and practices. Events such as the Cervantes International Arts Festival, the San Miguel de Allende Chamber Music and Jazz Festival, the Short Film Festival and the State Fair held every January in León attract thousands of visitors from throughout Mexico. 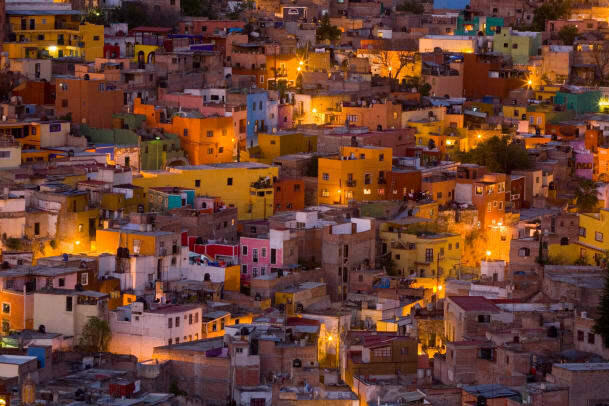 The first known human settlement in Guanajuato existed between 500 and 200 B.C. near Chupicuaro. The group is believed to have been fairly large and agrarian, growing maize along with other crops. Clay figurines from this culture, which are thought to be have evolved into the Teotihuacán society, have been found in the area. Did you know? The city of Guanajuato’s so-called “Kiss Alley,” located near the Plazuela de los Ángeles, is only 68 centimeters (around two feet) wide. Couples who visit the alley are supposed to kiss in order to ensure seven years of happiness. The city of Teotihuacán, located in what is now the San Juan Teotihuacán municipality, was established about 200 B.C. At its peak around 600 A.D. the city covered 20 square kilometers (12.5 square miles) and had between 100,000 and 200,000 inhabitants, making it one of the ancient world’s largest urban centers. Although little is known about the inhabitants, the city of Teotihuacán features sophisticated architecture, including apartment complexes and the impressive Pyramid of the Sun, Pyramid of the Moon and Ciudadela, a great sunken plaza. 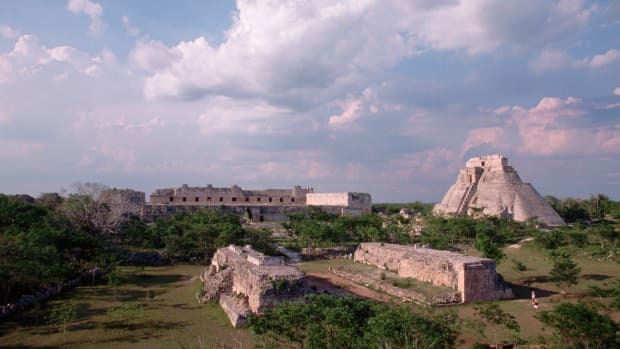 After Teotihuacán was abandoned for unknown reasons between 700 and 900 A.D., other groups in the area came to power, including the Toltecs and Chichimecs, a hunter-gatherer race. Skilled warriors, the Chichimecs eventually vanquished the Toltecs from the region. Another regional tribe was the Gauchichiles, whose name means heads painted red due to the red paint they used on their bodies and hair. The Gauchichiles, also hunter-gatherers, lived in the area when the Spanish arrived in Mexico. The nearest organized civilization at that time was the Purépechas, who lived throughout modern-day Jalisco and Michoacan. 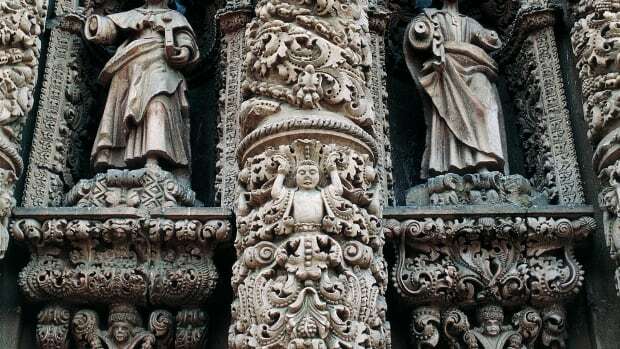 The Spaniards arrived in the region in 1522, led by Cristóbal de Olid, who had been commissioned by Hernán Cortés to explore northwestern territories (today´s Guianajuato, Jalisco and Nayarit). In 1523, Cortés distributed some of the region among his lieutenants who established villas and ranches there. In 1529, Spanish explorer Nuño Beltran de Guzmán led a force of 300 Spanish soldiers and a native army of more than 10,000 into the area. Countless indigenous natives were killed and many communities in the region destroyed, including some villas belonging to Cortés’s officers. Much of the Purépecha territory was conquered by Beltran de Guzman’s army, including modern-day Guanajuato. In 1552, Captain Juan de Jaso, probably acting under orders from Hernan Perez de Bocanegra, discovered mineral deposits in the Guanajuato region and subsequently established Real de Minas (The Royal Mines). The discovery of silver in the region led to rapid settlement by the Spanish throughout the 16th and 17th centuries. The present-day city of Guanajuato was established in 1679. During the 17th and 18th centuries, the Catholic Church sent priests to the area to convert the native population to Christianity. More than 15 convents, temples, churches and chapels were built in Guanajuato City alone. 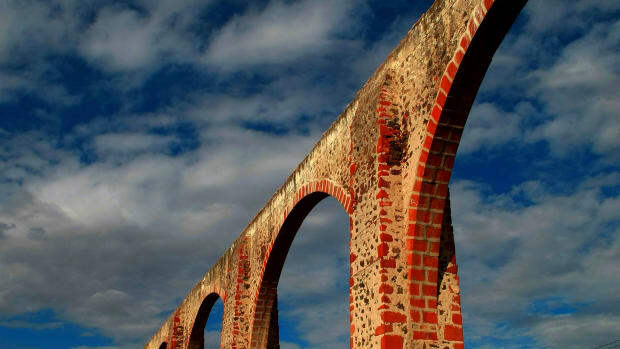 Guanajuato was one of the 12 regions that comprised Mexico in the 18th century, reflecting the economic and social importance of the area’s agricultural and mineral production. 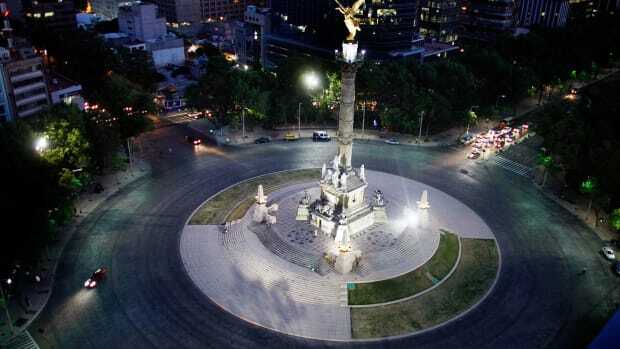 In 1810, the independence movement began in the city of Dolores, Guanajuato, when priest Miguel Hidalgo rallied patriots to rise up against Spain. 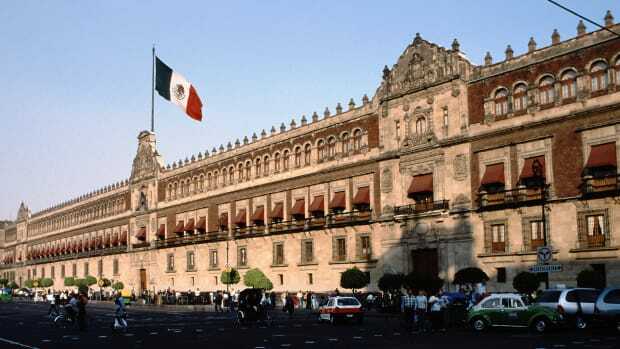 When Hidalgo was captured and shot the following year, his head was displayed at the Alhóndiga de Granaditas government building in Guanajuato. However, his call to arms was answered by rebel forces throughout the land, and the struggle for independence continued for the next decade. Because Guanajuato’s Spanish-owned mining operations had brought economic prosperity to the region, many Guanajuato citizens opposed the independence movement. In spite of the economic factors, Guanajuato signed the Plan of Iguala in 1821, which secured Mexico’s independence at last. For the next 20 years, the state, along with the remainder of the country, experienced political and social instability. 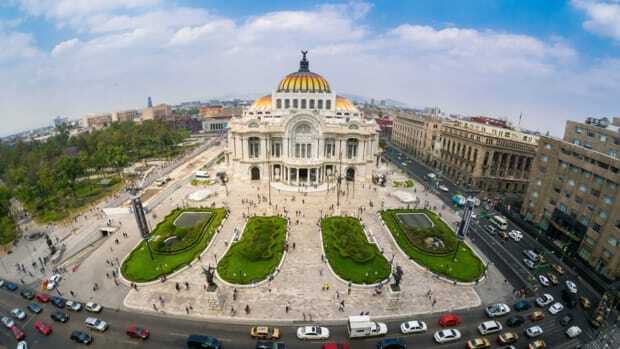 In 1846, after two decades of peace, Mexico City was invaded by the United States during the Mexican-American War. A Guanajuato army led by Gabriel Valencia fiercely opposed the U.S. forces. In September 1847, battalions of soldiers from Guanajuato joined other Mexican troops in an unsuccessful attempt to defend Mexico City. 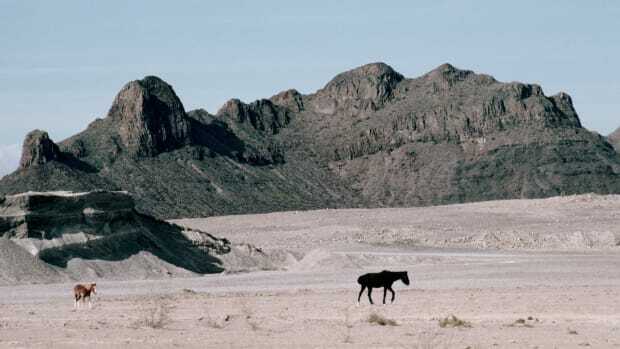 Under the Treaty of Guadalupe Hidalgo, which ended the war in 1848, Mexico was forced to cede a wide swath of its northern territory to the United States. Today, that territory makes up the U.S. states of New Mexico, Nevada, Colorado, Arizona, California and portions of Utah and Wyoming. Mexico was also forced to recognize the independence of Texas. In 1858, Benito Juárez assumed the presidency in Guanajuato and declared it the provisional capital of Mexico. More than two years later, on July 17, 1861, Juárez suspended all interest payments to Spain, France and Britain, who launched a combined assault on Veracruz in January 1862. When Britain and Spain withdrew their forces, the French took control of the country. Supported by Mexican conservatives and by French Emperor Napoleon III, Maximiliano de Hamburgo arrived in 1864 to rule Mexico. Although his policies were more liberal than expected, he soon lost Mexican support and was assassinated on June 19, 1867, when the liberal government of Benito Juárez regained the leadership of the country. Porfirio Díaz controlled the presidency from 1877 to 1880 and again from 1884 to 1911. During this period, Guanajuato improved its economy through increased agricultural productivity and mining. 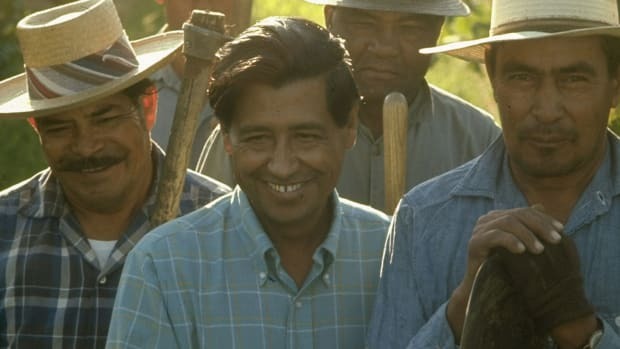 However, the economic and political power of the indigenous class declined steadily under the Díaz regime while wealthy landowners received financial assistance and tax breaks from the federal government. By 1910, the citizenry had lost patience with Díaz’s self-serving leadership and unwillingness to recognize minority rights. On November 20 of that year, Francisco Madero issued the Plan de San Luis Potosí, which declared the Díaz regime illegal and initiated a revolution against the president. Forces led by Francisco Villa, Emiliano Zapata and Venustiano Carranza supported Madero’s bid for the presidency, and Díaz reluctantly resigned office in 1911. For the next several years, rebel factions battled for political control, causing considerable economic and social hardships for the state’s citizens. In 1915, two major battles took place in Guanajuato – the Batalla de Celaya (Celaya battle) and the Batalla de León (León Battle). 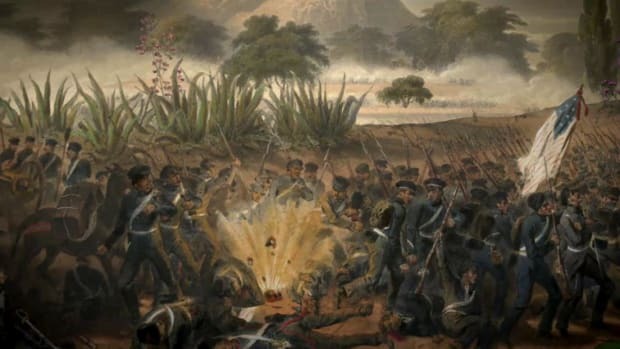 Francisco Villa´s army was defeated by federal troops in both battles, and the rebel movement began to wane soon after. In 1994, the North American Free Trade Agreement (NAFTA), designed to encourage trade among the United States, Canada and Mexico by eliminating tariffs and lifting many restrictions on various categories of trade goods, went into effect. As a result, industry, trade and tourism flourished in the Guanajuato. The state’s economy has long benefited from its silver mines, which are among the richest in the world. Other minerals harvested from Guanajuato’s mountains are tin, gold, copper, lead, mercury and opals. The state also leads the nation in the manufacture of shoes and the production of various farm products, such as lettuce, potatoes and fruits. Among the state’s exports are motor vehicles and auto parts, leather goods, chemicals and electric machinery. Guanajuato´s coat of arms features a central image of Santa Fé de Granada, a symbol originally used to represent Spain’s triumph over the Muslim invasion in Granada. The Spanish crown used this image during its exploration of Mexico to spread symbols of its power and sovereignty. At the bottom of the scene, a shell held by two laurel branches bound with a blue ribbon symbolizes stability, while the gold background signifies nobility, generosity and wealth. The laurels around the shield stand for victory, and the acanthus flowers represent fidelity. Initially belonging to the city of Guanajuato, the coat of arms was later adopted by the state. 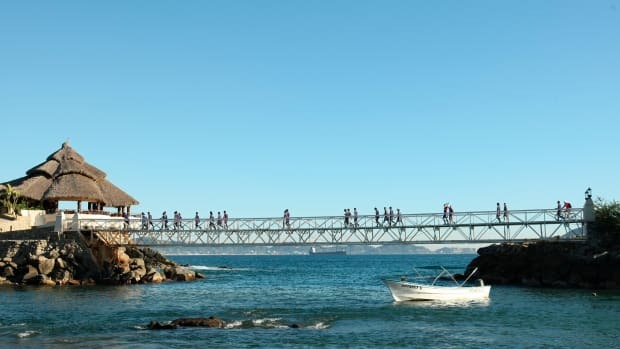 It is considered one of the most beautiful and interesting in the country. Guanajuato’s name is derived from the Purépecha word Cuanaxhuato, which means the mountainous place of frogs. The name was given to the region by the nomadic Purépecha Indians, who wandered north of the Lerma River in search of minerals and thought the area’s mountains resembled frogs. In 2003, Robert Rodríguez filmed portions of Once Upon a Time in Mexico, which starred Antonio Banderas and Salma Hayek, in locations throughout Guanajuato. The residence of muralist Diego Rivera, who was born and lived in Guanajuato City, has been made into a museum. The International Cervantes Festival is the most important artistic and cultural event in Mexico and in all Latin America. The event, which features plays, concerts, dance performances and films, has been held in Guanajuato every year since 1972. The city of Guanajuato’s so-called “Kiss Alley,” located near the Plazuela de los Ángeles, is only 68 centimeters (around two feet) wide. Couples who visit the alley are supposed to kiss in order to ensure seven years of happiness. The city is also famous for its mummies. When part of an old cemetery was exhumed in the 19th century, workers discovered that the bodies had been preserved—apparently due to the minerals in the soil and the area’s low humidity. Over 100 of the bodies make up a gruesome display at the Museo de las Momias. The state of Guanajuato is known as the land of legends due to the residents’ infatuation with supernatural tales, such as the story of el Pípila, a member of the independence movement who is said to have stormed a royalist castle while carrying a big stone on his back to deflect bullets. Cristo Rey (the King Christ) was a symbol used during the 1929 Cristeros War, an uprising by some 400 armed Catholics against the Mexican government over anti-Catholic provisions that had been added to the Mexican Constitution in 1917. The 20-meter (65-foot) statue of Christ crowns Cerro del Cubilete Mountain, which rises 2,579 meters (8,460 feet) above sea level. One of Mexico’s most important religious monuments, it marks the geographical center of Guanajuato. Every January, thousands of pilgrims come to the shrine to celebrate the Epiphany. 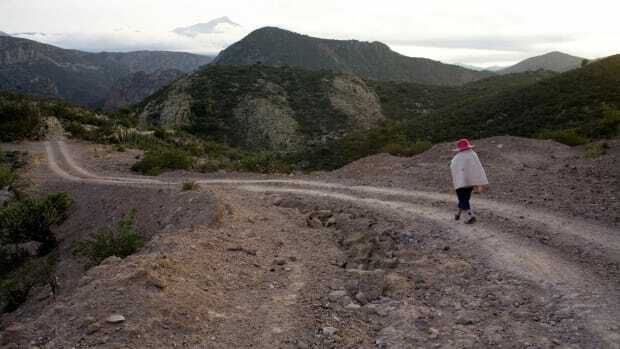 Many mines are located in Guanajuato, and the area has long been a well-known silver producer. Today, organized tours of area mines, such as San Cayetano and La Valenciana, have become popular tourist attractions. This monument was built in honor of Juan José de los Reyes Martínez (El Pípila). 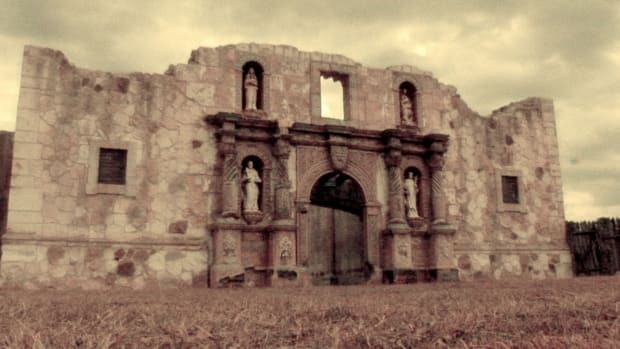 On September 28, 1810, during the first battle in the Mexican War of Independence, Martinez heroically burned down the door of the Spanish stronghold Alhondiga de Granaditas. The monument offers a unique panoramic vista of Guanajuato. When an old section of the San Sebastián cemetery was exhumed in 1853 during an expansion of the grounds, workers discovered that the region’s extremely dry air and minerals in the soil had preserved the bodies buried there. More than 100 of the corpses were put on display in glass cases at the aptly named Museo de las Momias (Museum of the Mummies), which has become a popular, though rather macabre, city attraction.